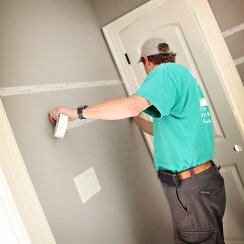 Trimaco has you covered with professional grade masking tapes that will make your next paint job easier than ever. Our masking tapes are perfect for a wide variety of applications, especially if you are working on a fine line tape job. We offer 14-day crepe paper tape for general purpose usage and flat paper tape for delicate surfaces. Our brown paper tape with a pressure sensitive adhesive edge makes masking quick and easy, catching paint splatters. 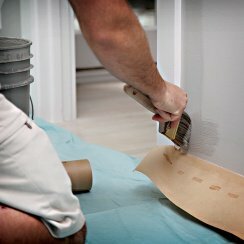 Upgrade your old rolls of blue painter tape! Our high performance tape is the last masking tape you’ll ever need. 14 day crepe paper tape for indoor or outdoor use. 14 day flat painting tape for delicate surfaces. 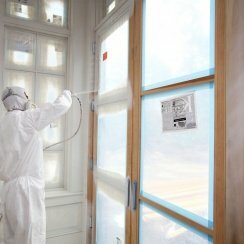 14 day flat painting tape for a variety of surfaces. 7 day masking paper tape with an adhesive edge.